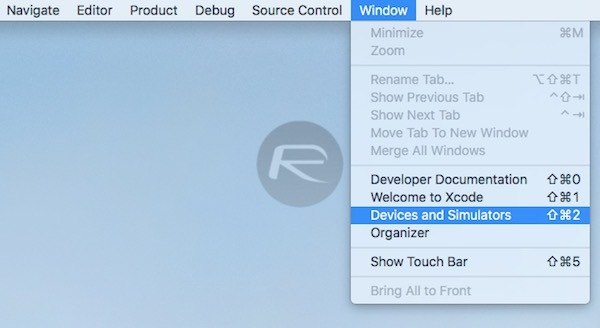 Here’s how to wirelessly connect Apple TV 4K or Apple TV 4 to Xcode on Mac for app deployment, sideloading apps, diagnostics, and other stuff. If you are thinking why would you want to do this? Well, this is mainly because with Apple TV 4K, Apple has dropped USB-C port, meaning the only way to connect your Apple TV now with your Mac and Xcode is to do it wirelessly. Fortunately, Apple has introduced such a functionality with Xcode 9 and later. This method will work with Apple TV 4 too in case you dont want to carry around USB-C cables. Here’s how to go about setting it all up. Step 1. First things first, download the latest version of Xcode from Mac App Store and then install it on your Mac. Xcode is available from Apple on Mac App Store for free. As mentioned earlier, it is important to note that Xcode 9 or later is required on macOS 10.12.4 or higher for all this to work properly. Once you have all this setup ready on your computer, follow the instructions from step 2 below. Step 2. 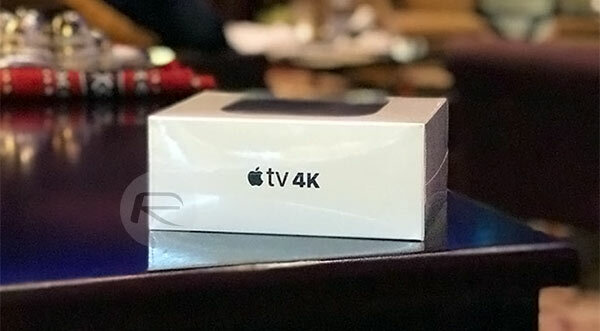 Update tvOS on Apple TV 4K to latest version of tvOS 11 or later. Step 3. On Apple TV, navigate to Settings > Remotes and Devices > Remote App and Devices and keep your Apple TV at this screen. Step 4. On Mac, launch Xcode and then navigate to Window > Devices and Simulators from the menu bar on top. Step 5. 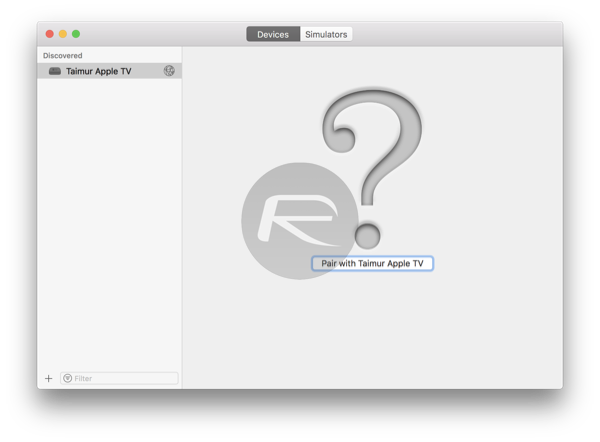 Now if both your Mac and Apple TV are nearby, following message should show up on Xcode’s Devices and Simulators window. Step 6. Click on “Pair with [Your Apple TV]” button. Step 7. A verification code will pop-up on Apple TV display, type it in Xcode to complete the pairing process between your Mac and Apple TV. 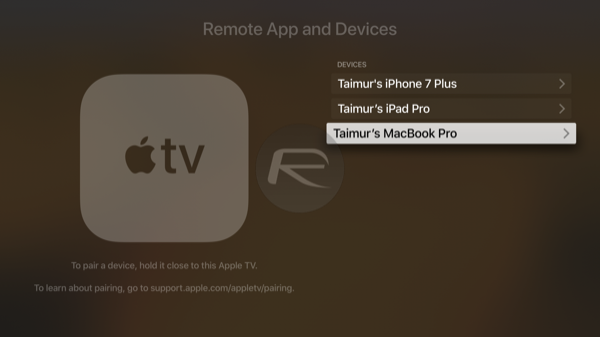 You should now have your Mac showing up in Apple TV’s Remote App and Devices screen. 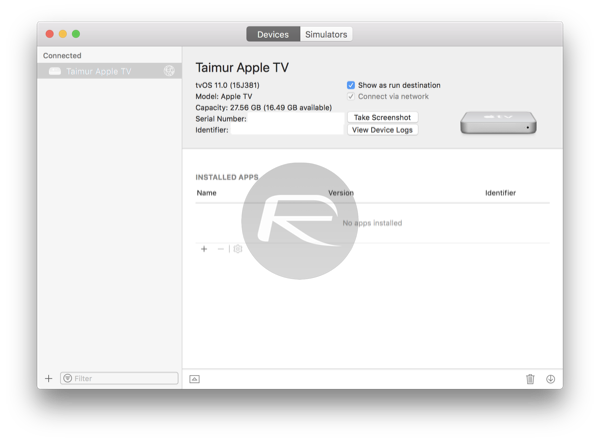 You should also have your Apple TV now showing up on Xcode’s Devices and Simulators window. And that’s about it. 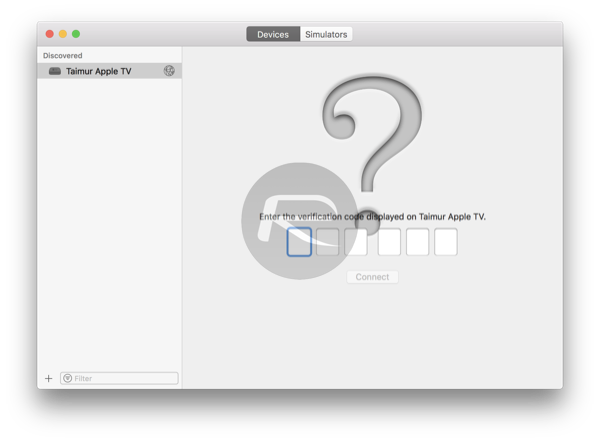 Your Apple TV is now paired with Xcode on Mac, ready for deployment of apps, sideloading, and other diagnostics. excellent, thanks! (just got 2 4k(s) and was looking for my usb-c connector in the back). thanks again! I don’t know WHY but my xcode on macbook air and on hackintosh DOESN’t see Apple tv 4k in our home wifi network AT ALL. Any ideas..? reboot your router, update your Mac and Xcode.